EU calls for maximum volume limit on all MP3 players | What Hi-Fi? 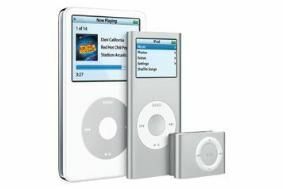 All players including Apple's iPods would have the same volume limits if the EU gets its way. A report last year warned that up to 10m people in the EU face permanent hearing loss from listening to loud music for prolonged periods. Reports suggest the EU wants the default maximum setting to be 85 decibels, although users would apparently be able to override this setting to reach a top limit of 100 decibels. We can't help thinking the ability to override any limit would negate the point somewhat, though previous tests have shown players currently on the market can top that 100 dBs. Are we capable of looking after our own ears? Or do some of us, children especially, need to have the volume limited for them? Let us know what you think in the comments section below.